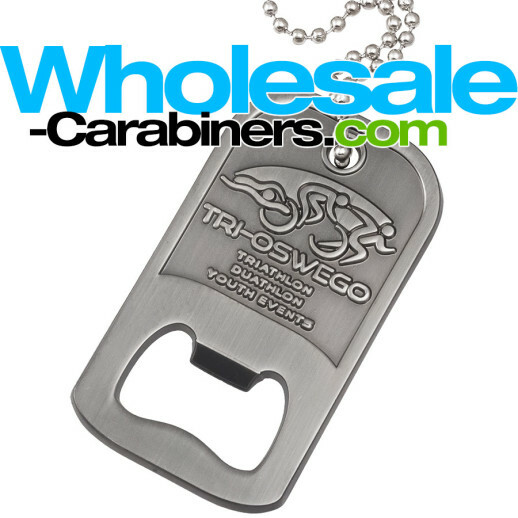 Dog Tags: Custom Bottle Opener Dog Tags Wholesale Priced from 1.40 Per Unit! Our customized dog tag bottle openers are customized with your art or graphics / logo, precisely crafted with raised and recessed parts that show off the cool nickel antiquing. We can also add colors as desired for .10 per color fill. 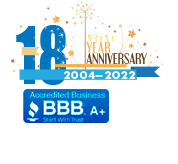 Get the backside custom stamped with another logo or text (such as a web address) for just a slight increase in the tooling costs; there is no per unit upcharge. Sweet! Oh, did we mention fast 12 to 15 business day production, and that we can even ship faster in most cases if needed? Just ask. We'll get it done. Packaging with custom printed full color backers as shown above are available from .18 per at 5000 units. Please inquire for other quantities.